If you’ve had an electric vehicle as your company car over the last few years, and you’re still running it, you’ll soon have to get used to a bit more of your salary disappearing in tax. One of the big incentives to kick-start the market for electric cars a few years ago was a ‘BIK tax holiday’. The government decided that no BIK tax should be paid on electric cars from 2010 to 2015. But here we are in 2015, just into a new tax year, and your previously BIK-free electric car is now liable for BIK tax at five per cent of its P11D value. And while we still have the plug-in car grant that means the government will pay £5,000 of the cost of a customer buying an electric car, the P11D value is still the full amount – not the customer’s transaction price. 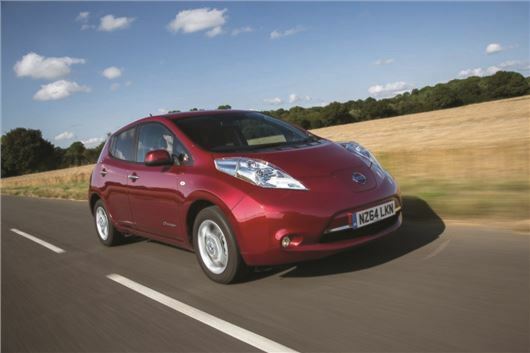 So for a Nissan Leaf Tekna, with a P11D value of £30,535, a standard rate income tax payer would be liable for £305 in BIK tax for this financial year. But this is substantially lower than the equivalent internal combustion engine car in Nissan's range. Someone driving a Pulsar 1.5 dCi Tekna would owe HMRC £700 this year for the privilege. And similar stories can be found among other car manufacturers offering electric vehicles alongside conventional ones. The return of company car tax for electric vehicles comes in a year where most drivers will have seen the biggest increase in their bills for many years. For the first time, the bands have shifted by two percentage points instead of one, and while BIK tax was previously capped at 35 per cent of a car’s value, we see the highest band now hitting 37 per cent. Could it be that as the tax regime has driven drivers toward lower CO2 cars that the Treasury is now trying to claw back lost revenue? Fortunately for drivers of zero emission cars, the five per cent tax bracket is significantly lower than those for conventional petrol and diesel cars, and over the next couple of years, while it’s scheduled to increase to seven percent in 2016/17 and nine per cent in 2017/18, an electric car could still be the best guarantee of low BIK tax.